In the class's final few weeks of operation on the Chiltern Line (in theory! 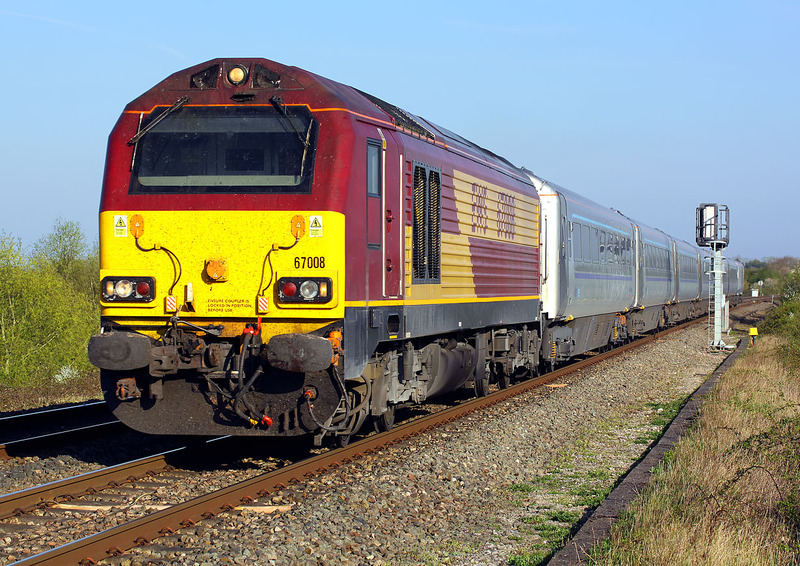 ), 67008 speeds past Launton on 21 April 2015 with the 1K57 17:15 Marylebone to Kidderminster service. Photo taken from a public footpath crossing.